The world’s most elite athletes go to great lengths to reach the top of their respective sports. Sadly for some, this means using performance enhancing drugs (PEDs) to give them the competitive edge. Lance Armstrong, Anderson Silva, Bret Favre—these are just some of the big names in sports whose legacies have been tainted due to the use of PEDs. The latest name to enter the doping conversation is Maria Sharapova, the 28-year-old Russian tennis star who recently admitted to have been using meldomium for the last 10 years. Medomium is a drug prescribed to those with heart conditions and is designed to improve blood flow to the heart. According to the drugmaker, when used by healthy people, meldonium can improve "physical capacity and mental function." This drug was added to the list of banned substances by the World Anti-Doping Agency just this year. Sharapova claims she’s been using the drug to make up for a magnesium deficiency, irregular EKG results, and to prevent diabetes. The world’s highest-earning female athlete has been provisionally suspended by the International Tennis Federation and might face a ban of up to four years. The five-time Grand Slam champion may be new to the PED controversy, but doping in sports has been around for several decades. There are now numerous banned substances that improve sports performance and are easy to use but difficult to detect. Here are some of the common PEDs in sports today. Made popular by deposed seven-time Tour De France winning cyclist Lance Armstrong, erythropoietin (or EPO) is used prior to competition to boost an athlete’s ability to produce red blood cells. This provides more efficient oxygen delivery to the muscles and reduces fatigue during competition. This drug, however, can cause many health problems such as stroke. No need to tell UFC star Nick Daiz (brother of Conor McGregor-conqueror, Nate) that smoking a “J” is against the rules; the Nevada State Athletic Commission slapped him with a hefty fine and suspension for using marijuana prior to three MMA bouts. Marijuana is said to enhance performance and boost recovery. Go figure. Canadian sprinter Ben Johnson won the gold in the 100m dash at the 1988 Seoul Olympics, but drug tests revealed he had stanozolol in his system. This drug is “a synthetic steroid that is derived from testosterone” and it can aid in building muscle and increasing strength. The clincher: Johnson wasn’t the only one juiced in that event; that’s why it’s dubbed as “the dirtiest race in history.” Warning: Use of steroids could make you go blind. Yes, gym rats, you might be on PEDs. Creatine is sold in supplement shops where you can get your run-of-the-mill jars of whey protein. Creatine is even an ingredient in select whey protein supps. What does it do exactly? It’s meant to “improve performance during high-intensity bursts of activity and increase muscle mass and strength,” according to the Mayo Clinic. Creatine could be bad news for your kidney, though. This drug, which is usually inhaled, works “by relaxing the muscles lining the bronchial tubes, allowing more air to flow into the lungs.” Endurance athletes commonly use this, but when injected, it can help build muscles like steroids would. These usually come hand-in-hand with other PEDs. Athletes use diuretics (aka “water pills”) to dilute their urine, making it harder to detect other banned substances in their system. Diuretics are also common in combat sports, which have weight divisions, as such pills help athletes drop water weight quickly. The catch: Diuretics can lead to health issues like increased blood sugar and cholesterol. 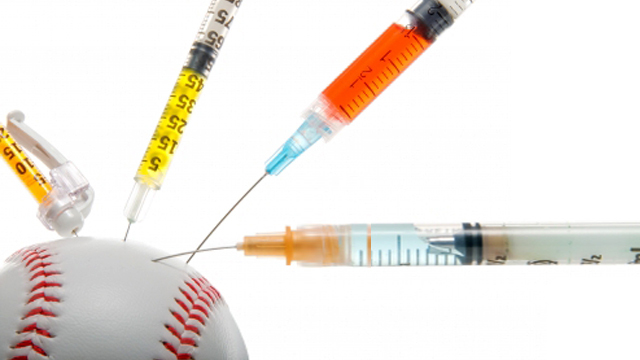 These are just some of the commonly used performance enhancing drugs in sports today. And though they can improve an athlete’s output, they likewise come with a laundry list of health hazards. Those who use PEDs aren’t just cheating themselves, their peers, or their sport; they’re also putting their health in serious danger.